New Delhi: The Ministry of Women and Child Development will be hosting the 7th ‘Women of India Organic Festival’ from 6th to 10th February, 2019, at Sampradaya Vedika, Shilparamam, Hyderabad, to promote and celebrate women farmers and entrepreneurs in the organic sector from different parts of India. The Women of India Organic Festival has been held annually in New Delhi since 2015. 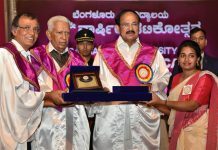 To tap into people’s growing interest in organic products, the organic festival now enters Hyderabad, the doorway to South India. 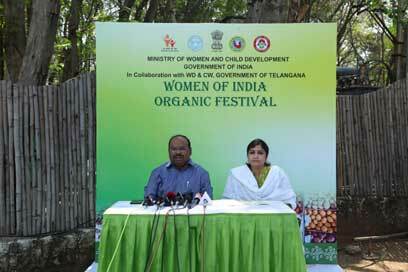 Women organic farmers and entrepreneurs will showcase an elaborate array of organic products. With each passing year, the Festival has received extremely encouraging responses from New Delhi, Mumbai, and Chandigarh. The increased sales and footfalls at every Organic Festival bear witness to the fact that people have embraced the organic movement. 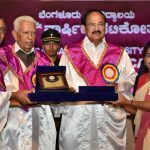 “The festival is an ongoing endeavour to promote illustrious women’s local communities by generating employment & keeping farmers thriving, apart from encouraging an organic culture. For the first time, we have ventured into southern India and we hope to receive an overwhelming response, similar to our six other festivals. The festival has certainly succeeded in its aim, which is to connect Indian women farmers and entrepreneurs with more buyers and thus, empower them through financial inclusion. 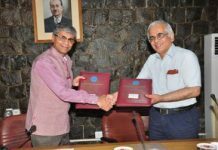 The growing demand, interest and investment in an organic culture in India is extremely heartening,” said Smt. Maneka Sanjay Gandhi, Union Minister for Women and Child Development. Over 150 women are coming together at Shilparamam, the art and craft village, which will become the hub of Hyderabad’s organic extravaganza. This unique fest will showcase several genuine and authentic organic products, including natural dyed fabric, jaggery, grains, seeds, bakery items and a lot more. The Food Court, which made its debut in Delhi in 2018 was a resounding success. As an encore, visitors to Shilparamam too, will get the chance to explore different cuisines at the food court, which promises to offer a wide variety of sumptuous and freshly-cooked delights. Do join us to support and encourage women farmers and entrepreneurs in their journey towards self reliance and be part of their collective celebration.The timings of the Festival are 10AM to 10PM.